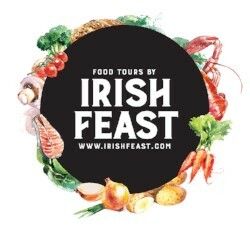 Hi, Caroline from Irish Feast here with an update on our tours, local news and events in and around the Causeway Coastal Route. After a wet start to the season, the weather here has been glorious for weeks now - perfect for all our tours and all our customers have been enjoying wonderful food and delicious treats in the sunshine! Our website has, and continues to be improved to bring you everything about local, artisan or unusual food in the area; I have expanded our group tours offering and lots of people have been enjoying their own private tours too - from elegant hens and their bridal parties to ladies who just want to experience every last drop of fun in life. So here's some snippets to bring you up to date, give you some ideas if visiting or remind you of your travels and our fantastic food if you are back home. Please get in touch if you have any feedback or questions, I'm 'all ears'! NEW! Our beautiful and enchanting tour of Glenarm reveals several secrets! Find out about our new Group Tour offers - there are savings to be made! We have a fantastic new online events diary! See all local events for food lovers, and even add your own if you run one! We've compered at the Rathlin Sound Maritime festival in May and met up with fabulous chefs such as Stephen Ferris form Coppi, Belfast (been a long time fan of his), Travis Gleason (Chef Interrupted - a charming raconteur) and tasted pineapple Mor Gin. SO good! We've worked with a local boatman and his American/Rathlin island partner to curate an AMAZING Taste of Rathlin food tour. Once we discovered sea sickness tablets, we rocked that! Lobster, and crab, and cheese and whiskey.... YUM! We ate the best burger of our lives in Glenarm at the Dalriada Festival and discovered Belfast Artisan Chilli Sauce's Mango and Dulse sauce. O.M.G. Heat AND oodles of taste. And finally - we went to a 5 course banquet themed in honour of the Bushmills Food Tour at the Whiskey and Salmon Festival! The food here...!! Dish You Were Here (luxury bloggers and gorgeous lads) were our guests. Make sure you follow us to get your tickets for next year. Phew! Can August, with the Heart of the Glens Festival at the start and Aul Lammas Fair at the end beat that? ?